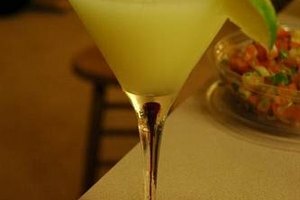 How to Fix a Cocktail That Is Too Sour? Whether on purpose or by accident, a too-sour cocktail can really take the fun out of drinking. Not only will it overpower your taste buds, putting all of its weight on the sour part of your tongue, it may upset your stomach and cut short your fun night out. A cocktail that's too sour isn't beyond repair, though. There are lots of ways to make it more enjoyable again. 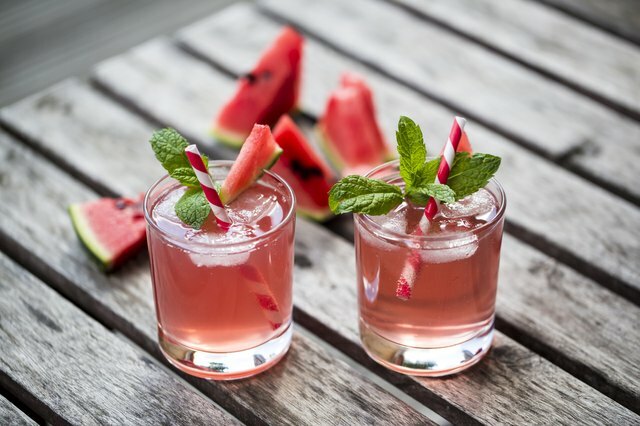 Probably the simplest solution to a too-sour cocktail is to add something sweet to the drink. Although sugar would be the first choice in the kitchen, it doesn't work as well in cocktails; unless it is superfine or caster sugar, it will take too long to dissolve. The bartender's standby is a few splashes of simple syrup, which is equal parts sugar and water simmered together until the sugar dissolves. Or add agave syrup, sweetened lime juice, grenadine, fruit juices like orange and pineapple juices, or your sugarless sweetener of choice. If it comes in liquid form, that's even better. Another way to correct the sourness of a cocktail is to add more of the original ingredients to the drink. Cocktails such as margaritas and lemon drop martinis have bitter citrus juices, such as lime and lemon, as main ingredients. Adding more liquor, such as tequila and vodka, will help to dilute the sourness – and make the drink stronger. Add extra flavor to the drink while cutting the sourness by pouring in a little flavored spirit to complement the ones already in the drink. For example, add a splash of vanilla vodka to a vodka-based drink. Watering down your drink will make it less sour while giving the drink a little more volume – meaning that it will last longer. Add a few splashes of water to the drink, taste it, and if it's still not to your liking, add a few splashes more. Do not pour in too much water, because this could dilute all of the flavors. 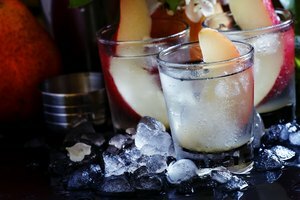 Topping off your drink with some fresh ice cubes can also ease the sourness; as the ice melts, the drink will become more smooth and mellow. Cold also has the effect of dulling flavors, so the ice helps both ways. The problem might be that you are drinking your cocktail too soon. The flavors of a mixed drink can change over time as the complementary ingredients blend and mix with one another. For an example, a mojito made with sugar cubes needs a bit of time for the cubes to break down. Also, some specialty cocktails require time for flavors to transform or ingredients to break down. If the drink is a predominantly sour one that features sweetened iced cubes, for example, crush the cubes to speed up the process. Chance E. Gartneer began writing professionally in 2008 working in conjunction with FEMA. He has the unofficial record for the most undergraduate hours at the University of Texas at Austin. When not working on his children's book masterpiece, he writes educational pieces focusing on early mathematics and ESL topics. What Drinks Can Be Made With Pear Vodka?